Fits 2 Wheel Drive Applications Requiring GM 4L80E Automatic Transmission. Transmission shipped without speedometer driven gear or housing. 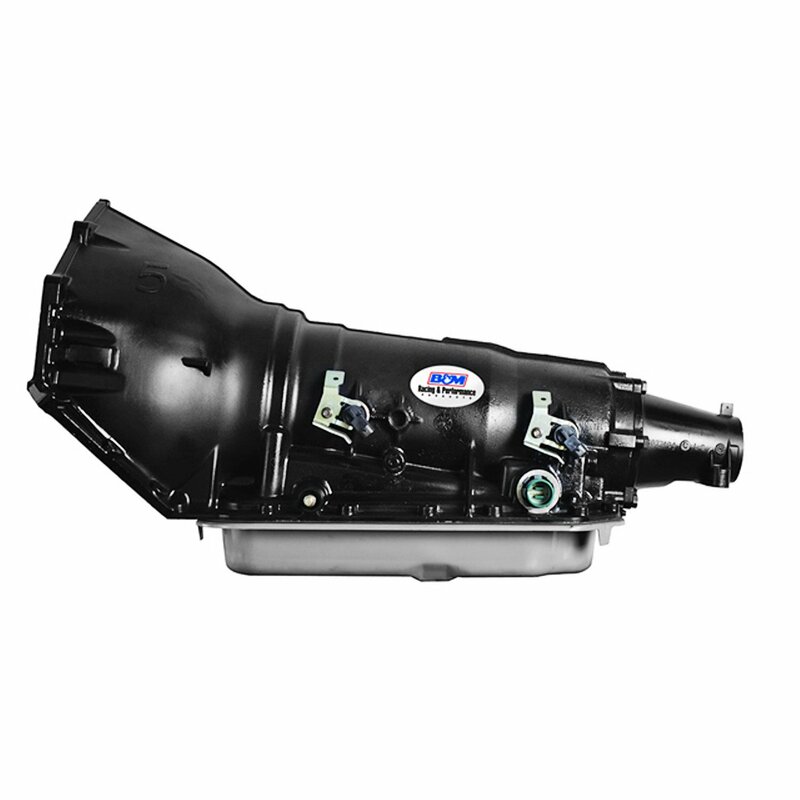 B&M Racing's GM 4L80E Street/Strip transmission is a complete ready to run unit (less converter) for high performance Street/Strip use for GM model years 1993 to 1996. The Street/Strip 4L80E transmission is packed with performance features such as providing firm shifts, a high energy intermediate band, new overdrive sprag assembly, new low roller assembly and all new performance friction materials. Other features include all new steel forward hub, solenoids, wiring harness, re-calibrated forward pattern automatic valve body and performance pump assembly. This transmission is built to handle up to 800 HP/650 lb-ft of torque. Notes: For transplant applications, this transmission requires an electronic controller such as B&M ShiftPlus2 transmission controller #120001. Carbureted applications will require a throttle position sensor (TPS) #120002. To prevent contamination of worn parts circulating through your new B&M transmission, we strongly suggest replacing or adding a new B&M SuperCooler transmission cooler.